Email is the common communication tool in the internet era like today. Instead of accessing email via web browser, some people prefer to access their email via desktop-based app. Windows users have so many options in this case. Though you might have to spend some dollars for a desktop email client, accessing email from desktop app gives you plenty of benefits than web. One of the prominent examples is that you don’t have to deal with ads which often appear on the free email services. 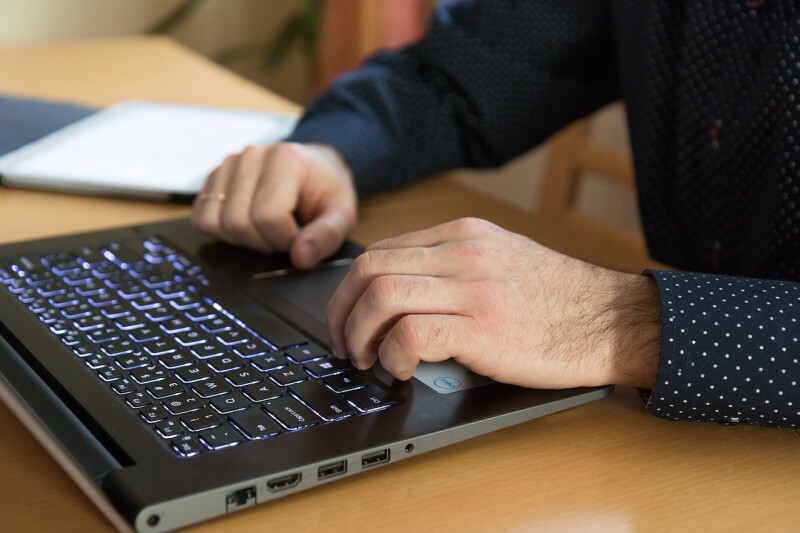 Whatever your reason of using desktop email client, if you are Windows user below is the list of the best email clients for Windows which you can install on your machine. Every computer user knows what is Microsoft Outlook. This is the one of the most popular email clients for Windows since it’s a part of Microsoft Office. Microsoft Outlook is more than an email client app since it also has a Calendar feature to allow you arranging the schedules. There is also a feature to enable you save and manage email addresses of your friends, family, office mates and business partner. 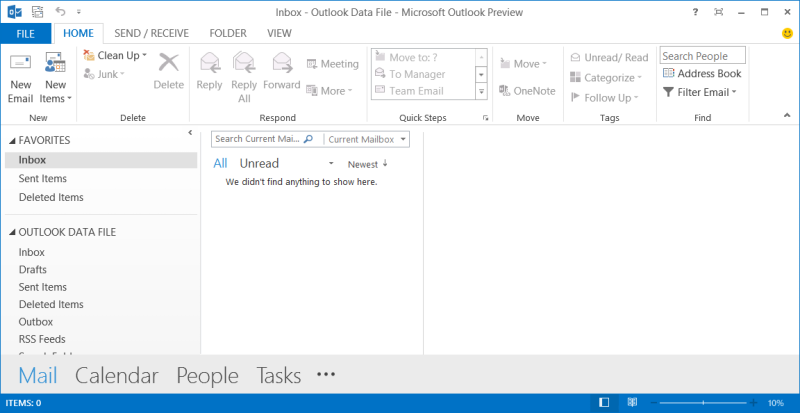 Additionally, you can also take advantage of Microsoft Outlook to manage your tasks, taking notes and lots more. If it’s not enough, you can also install additional add-ons to get more functionalities of this email client. You can use Microsoft Outlook as a reader of your messages whether on Gmail or Yahoo. You can do that since this email client supports POP3 and IMAP protocols. Though developed by Microsoft, Microsoft Outlook is also available for macOS. 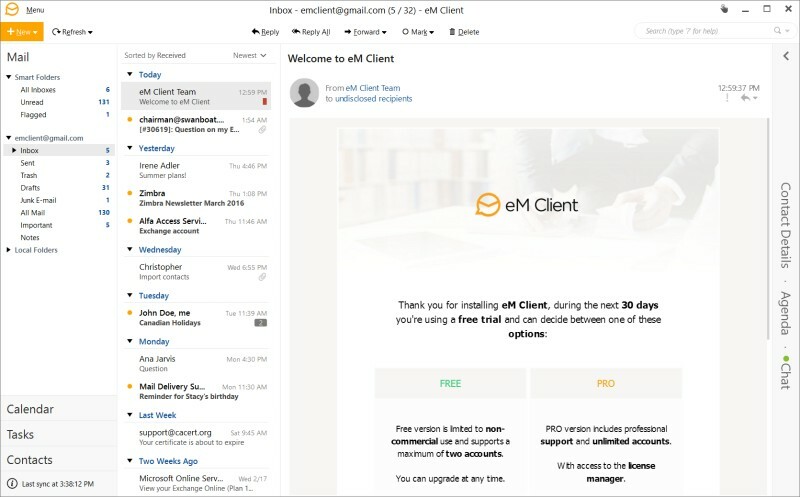 If you are looking for an email client that was built specifically for Windows then eM Client could be your best option. At least at the time of writing this email client is available exclusively only for Windows. eM Client has been optimized for touch screen devices so it would be ideal to be installed on the touch screen laptops running Windows 8 or higher. eM Client has a very sleek interface, adopting the flat concept like most current apps. eM Client is also more than an email reader since it also has such other features as contact manager, calendar, task manager and chat. eM Client is a great tool for business. eM Client itself is a freemium app which mean you can use it for free with an upgrade option if you need more features and functionalities. Same as eM Client, Mailbird is also exclusively developed for Windows. And again, Mailbird functionates more than an email client app. Instead, Mailbird is a versatile tool to support your business activities. To help you expedite your communication with business partners, the app has been equipped with a built-in messaging app which supports WhatsApp. 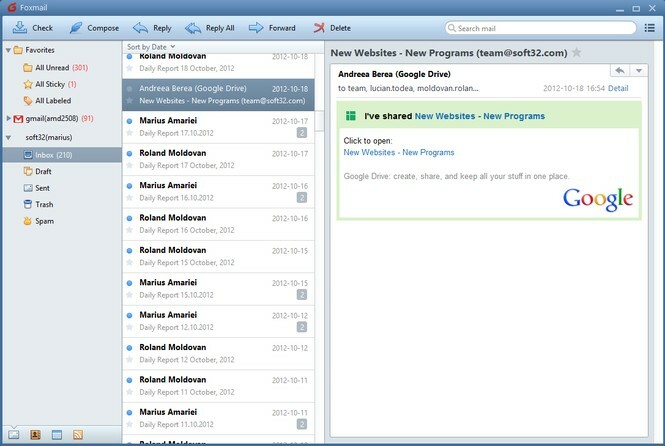 You can also integrate Mailbird with such several services as Dropbox, Google Calendar, Asana and lots more. Is Mailbird free to use? Depends on how you will use it. If your purpose of using Mailbird is merely to read your inboxes than you don’t need to pay anything. Conversely, if you want to utilize it as a versatile business tool by integrating it with other services as mentioned then you need to upgrade your free account. You will be billed monthly. Another Windows only email client app. EmailTray is good choice if you prefer to use a free app instead of paid one. This email client for Windows is fully free but, comes with a very rich of features like Mailbird. Well, may be not as rich as Mailbird but EmailTray is feature-rich enough. EmailTray supports two major email protocols POP3 and IMAP which mean you can use it as an email client of your own email service. Or, if you want to utilize it as an email reader for Gmail or Yahoo, it’s also possible. 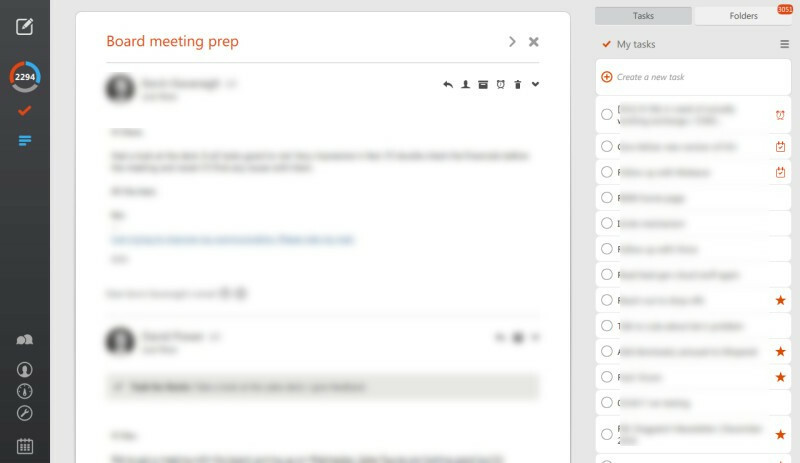 One the handy features offered by EmailTray is a customizable notification. You can set to only be notified of important emails. Additionally, the app also comes with a contact manager to enable you manage your LinkedIn contacts. Zimbra isn’t built specifically for Windows. This desktop email client app is also available for Linux and macOS. Zimbra itself is widely known as an open source email server. In addition to server, the company behind Zimbra also offers email client called Zimbra Desktop to read messages from the email service you are developing. Is it possible to read Gmail messages using Zimbra Desktop? Of course. Zimbra Desktop supports major email protocols IMAP and POP3 so you can use it to read both Gmail and Yahoo messages. 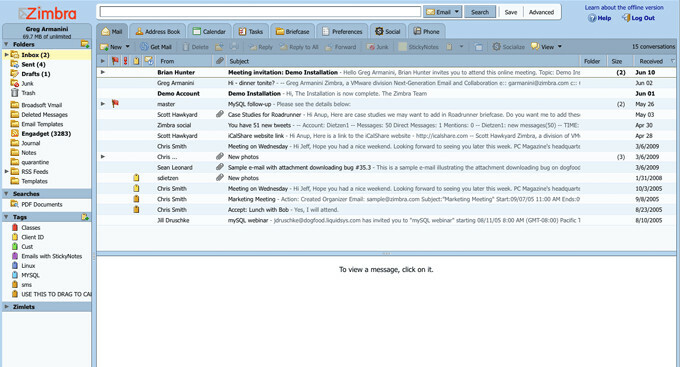 Additionally, Zimbra Desktop also features task and contact manager. Zimbra is free to use. Another free email client for Windows. Not as feature-rich as, for instance Mailbird. But, Foxmail is a nice choice because it is quite light and simple. Foxmail is probably not too superior in terms of feature but, it has a useful feature that not every similar app has. In Foxmail you can delay a message before it’s truly sent to your recipient. The feature is pretty useful if you are the kind of careless person who often send email to the wrong person. For some Windows users, Thunderbird is probably a strange name. Thunderbird is tend to popular in the Linux users scope but, it’s basically a cross-platform app. Other major platforms, including Windows is also supported by Thunderbird. 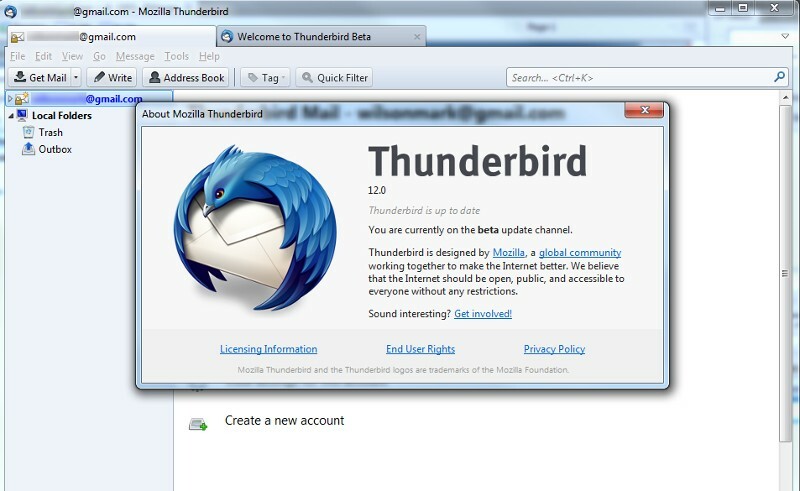 Thunderbird itself is one of the Mozilla’s products other than Firefox. Just like Firefox, Thunderbird is also released as a free software. You can also take advantage of Thunderbird to access inbox from Gmail as well as other email services. The email client also supports major email protocols POP3 and IMAP. 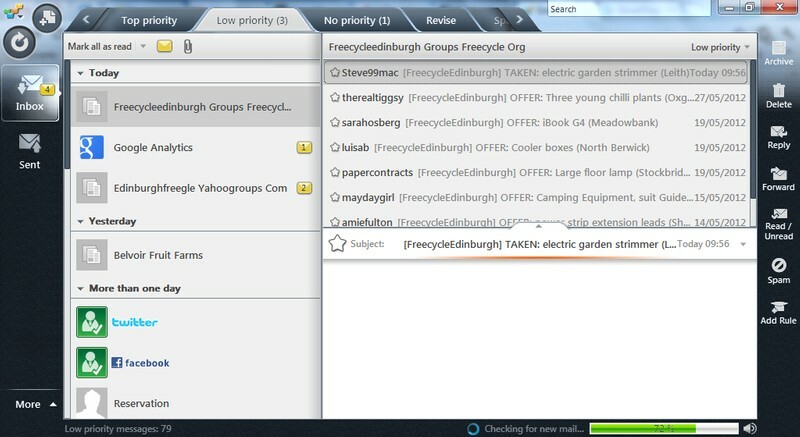 Additionally, Thunderbird also features a built-in calendar and contact manager. 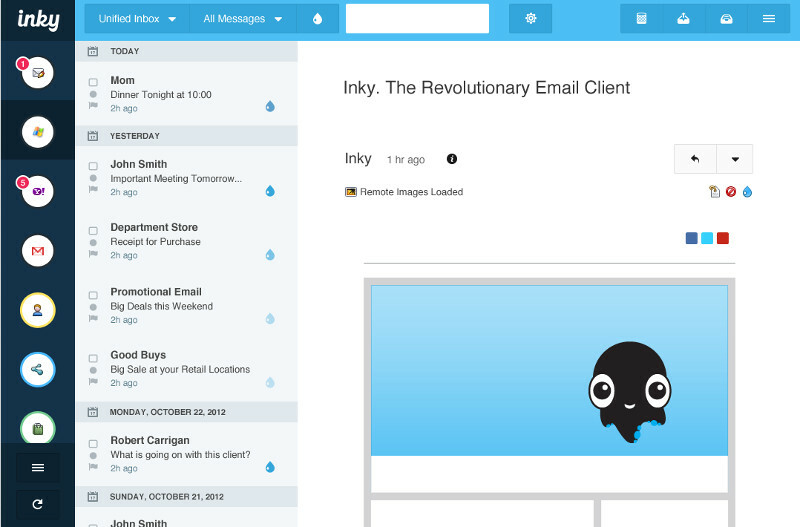 Inky is another great email client for Windows. Protecting you from email phishing is become the Inky priority. For external senders with standard DKIM enabled, Inky displays a verified profile for the entity that controls the email server. This gives you visual confirmation of what entity sent the email, and provides information about its sender reputation. Inky, which is also available for macOS, also has several useful features. Including email sorter which allow you to arrange messages based on the relevance. Postbox is an email client for Windows (and macOS) that was designed for professionals. This is a paid email client but you are given a 30-day trial period to probe the app. Since it’s built for professional, Postbox comes with plenty of professional features and capabilities. For instance, you can integrate Postbox with such services as Slack, Trello, Dropbox, OneDrive, Asana, Evernote and lots more. Major email services like Gmail, Yahoo and AOL are supported by Postbox. Additionally, you can also use Postbox as an email client for your own email service since it also supports POP3 and IMAP. Postbox also makes it easy if you want to add professional-look email signature. It has tens of ready-to-use email signature templates which you can access through the message composer. Other prominent feature of Postbox is Anti-Tracking which, for instance, prevent pesky salespeople from knowing if, and when, you open a message. 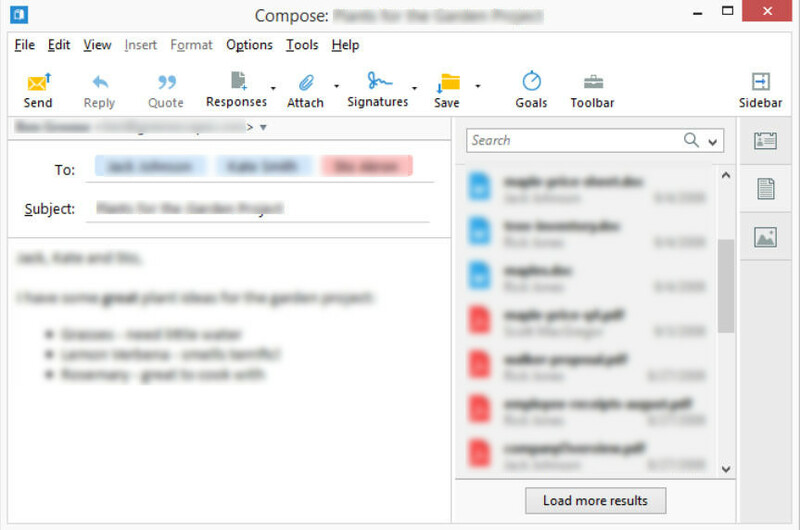 Hiri is projected to become a Microsoft Outlook alternative. The email client is designed for the Microsoft email ecosystem. However, Hiri is also available for Linux and masOS. There is even an official Hiri app on the Ubuntu Store. Hiri is specifically designed for managers. You can use Hiri to send actionable emails and delegate others to your team. Hiri also lets to to set reminders on emails that you can’t deal with immediately, or quickly drag them into your task list, where you can set due dates or reminders. Same as Postbox, Hiri is also a paid email client app but you can use it for free for 14 days during the trial period.